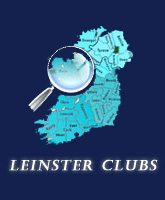 The Leinster Schools Hockey Committee will consist of one voting representative for each affiliated school. The committee will elect a Chairman, Honorary Secretary, Match Secretary and a Treasurer at its AGM held in May. The Match Secretary will be responsible for Senior, Junior, Minor and Under 13 competitions. In all votes taken the Chairman will have the casting vote. A School must be a recognized school and it may only play pupils who are receiving full time education at that school. If they move to different hockey playing school during the school year, they may play for that school only if they have received written permission from the Chairman. Under 13 teams, at primary school level only may consist of boys and girls. While there is no formal registrations of players, it is expected that schools, especially the larger ones, will select players to play at a level commensurate with their level. There are 4 age groups: Under 13, Under 14 (MINOR), Under 16 (JUNIOR) and Senior. The ages refer to players being under 13, under 14 and under 16 on 1st July preceding the competition. Any boy in 1st Year may play in Under 13 Leagues and Cup. Any boy in 2nd Year may play in Under 14 Leagues and Cup. Any boy in 4th Year may play in Under 16 Leagues and Cup. 1. Leagues at each of the four levels will be divided into two pools. Wesley College and St Andrew’s College “A” Teams will be placed in opposite pools. Wesley “B” teams will go into the pool containing St Andrew’s College “A” and St Andrew’s College “B” will go into the pool containing Wesley “A”. The remainder of each pool will be made up of the remaining teams drawn at random. 2 `The top two teams in each pool will qualify for the “A” league semi finals with the winner of each pool having choice of venue against the runner-up in the other pool. The third and fourth placed sides in each pool will qualify for the “B” league semi finals with the third placed side in each pool having choice of venue against the fourth placed side in the other pool. The dates for the semi finals and the date for the final will be decided at the AGM held in September. The venues for each of the finals will also be determined at this meeting with three finals to be hosted by southside schools and one to be hosted by a northside school where possible. 3 The venue for each league game will be outlined on the tables posted out at the beginning of each season. 4 Postponed or abandoned games are re-fixed at the original venue. 5 Points are awarded on the basis of THREE for a win and ONE for a draw. 6 If at the conclusion of a league two teams have equal points the head to head result will determine which side goes through. In the event that this result was a draw a play-off at the opposite venue to the original league match, will decide the placing. This game must take place before the date outlined for the playing of the semi final. In the event that there isn’t time for this play-off game to take place then the Chairman will “toss a coin” to decide who goes through. 7 If more than two teams have equal points the head to head results will determine who goes through. If this fails to separate the sides a Round Robin tournament will take place. The venue will be drawn out of a hat by the Chairman. Each game will consist of two fifteen minute halves with 30 minutes between each game. If sides are still tied at the end of this tournament then head to head, goal difference, goals for, goals against and strokes will decide the winner. In the event that there isn’t time for this Round Robin tournament to take place then the Chairman will conduct a draw to decide who goes through. 8 All league play offs including the semi finals and finals will be decided in one match. If tied at full time seven and a half minutes each way extra time will be played followed by strokes. 9 The U-13 C league will be divided into two pools on a geographical bases. The top two teams in each pool will qualify for the semi finals with the winner of each pool having choice of venue against the runner-up in the other pool. The “A” league finalists will gain an automatic spot in the following school years All Ireland Tournament. The two losing semi finalists from the “A” league will play off with the winner of this game also gaining an automatic spot in the following years All Ireland Tournament. 1 COMPETITIONS: There are four cup competitions: Under 13, Under 14, Junior, and Senior. (See Section 3 for details of ages). 2 VENUES: A team playing its first match in the competition, in a particular season, will play as it appears on the draw i.e. the team nearer the top of the draw will have choice of venue. If both teams have been drawn at home in the previous round, the team which is nearer the top of the draw will have choice of venue. If both teams have been drawn away in the previous round, the team which is nearer the top of the draw will have choice of venue. If one team was drawn at home and the other team was drawn away in the previous round, then the team which was AWAY will have choice of venue. 3 POSTPONED &amp; ABANDONED MATCHES: the same rules apply as for league games. 4 DRAWN MATCHES: If a cup match is drawn there will be extra time of five minutes each way. If the teams are still level after extra time penalty strokes will decide the winner. 5 PENALTY STROKES: Five players will be nominated from each squad to take strokes (no player who has received a red card during the game may be nominated). The winner of the toss of a coin shall decide which team takes the first stroke. The five players from each team will flick alternatively. If still level after these ten, strokes will start again, involving the same five players (but not necessarily in the same order) with the other team starting, on a SUDDEN DEATH basis, continuing until a result is obtained. 6 UMPIRES will be appointed for all finals. 7 DISPUTES: An Emergency Committee consisting of the Chairman and TWO members of the committee will adjudicate if a dispute arises. The decision of this committee will be final. 8. The Senior Cup Finalist will automatically go into the following year’s cup semi finals. All other teams at Senior level will have to qualify through The Trophy. 9. The Cup Finalists will also represent Leinster in The Whiteside Trophy the following season. 1 The Whiteside Trophy will be made up of two teams from Munster and two from Leinster. The Cup Finalist from the previous season will represent Leinster in this competition. 2 The competition will consist of two rounds of games to be played on a home and away bases. The first round of games will take place on the final Wednesday in September and the first two Wednesdays of October. The second round of games will take place on the final Wednesday before the Christmas holidays and the first two Wednesdays after the Christmas break. 3 The Leinster sides will travel to Munster on the first Wednesday of each round of games with the Munster sides travelling on the second Wednesday. The “Derby” game will always be played on the third Wednesday of each round of games. 4 Postponed or abandoned games are refixed at the original venue. 6 If at the conclusion of a league two teams have equal points the head to head result will determine which side wins. If this fails to separate the two sides (ie two draws, one win each) then the two scores will be added together to determine the winner. If this still fails to separate the sides then the away goals rule will apply whereby the team that scored the most goals at their opponent’s venue will win. If this still fails to separate the teams then goal difference, goals scored and finally goals conceded will decide the winner in that order. In the rare event that the sides are still tied then the trophy will be shared.